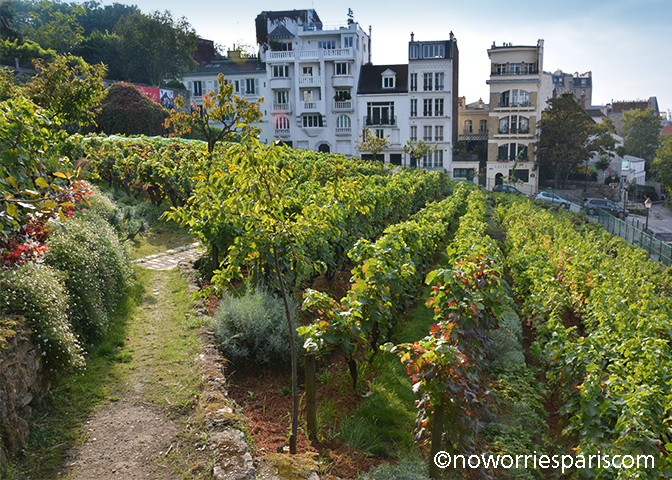 Montmartre’s sweet spot sits demurely at 10 rue Cortot, about 500 yards from Sacre Coeur and 5 minutes away from the hilltop square jammed with painters and tourists, Place du Tertre. 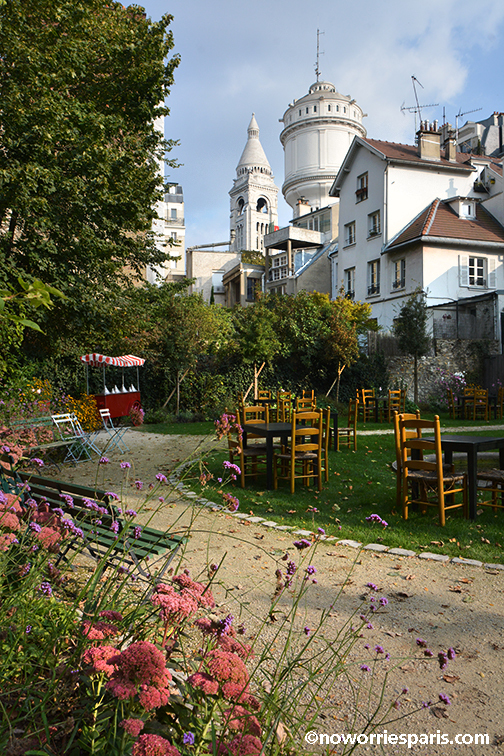 Housed in Montmartre’s oldest building, the museum founded in 1960, was once the meeting place and part-time residence of Renoir, Emile Bernard, Dufy, Utrillo and Suzanne Valadon. 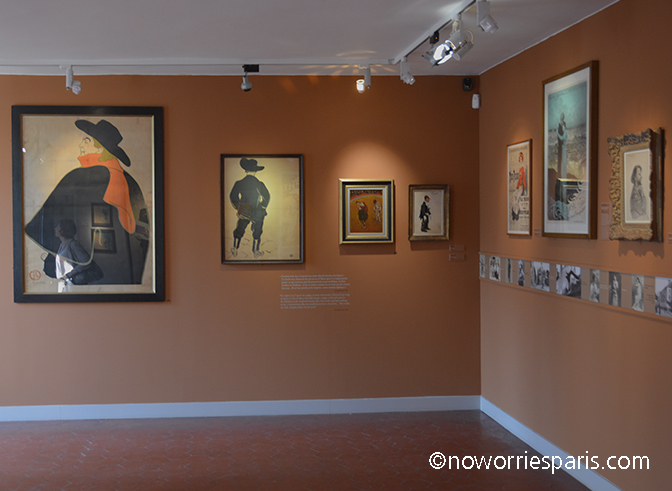 Your visit plots the history of the artist colony from shanty town to the Moulin Rouge. 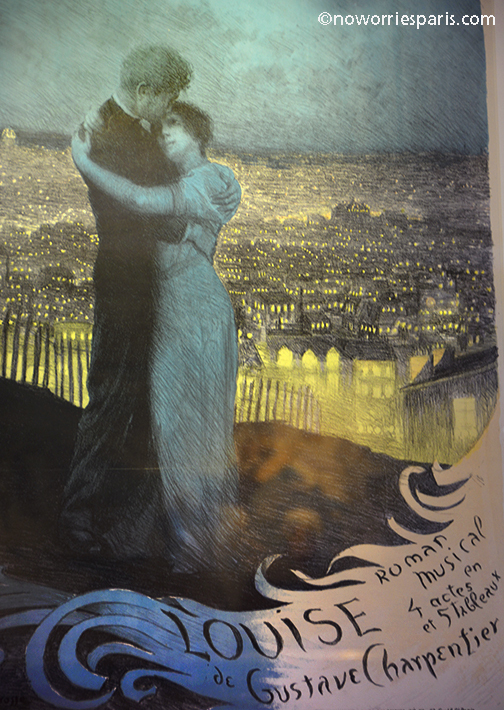 An entire room is dedicated to the French Cancan. For the 9 euros admission you’ll be equipped with an audio guide and entree to the galleries, romantic gardens and coveted view of the hilltop vineyard. 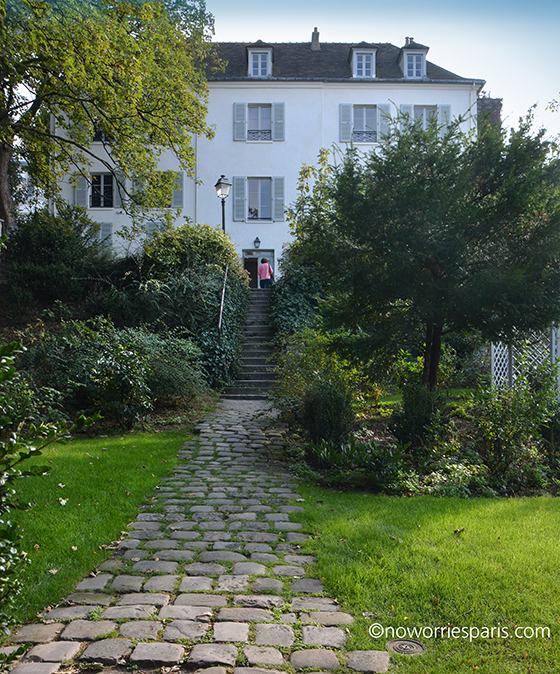 The Renoir gardens surrounding the building speak for themselves. There are plenty of benches and chairs tucked away for quiet contemplation. 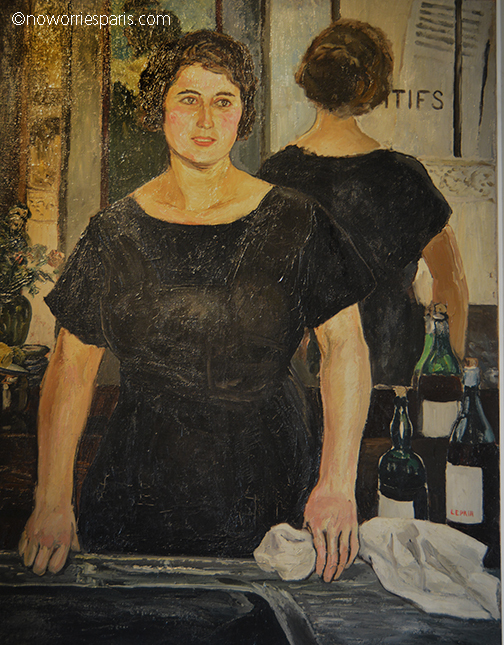 Check the museum’s website for special events. Metro: Lamarck – Caulaincourt; Bus: 80, Montmartrobus. Open every day from 10am to 6pm. The City of Light has turned on it’s Christmas magic. Luminous arches, multi-colored bulbs, incandescent flames and sparkling projections of light deck out the avenues of the French capital. rue du Faubourg Saint Honoré, 8th arr. 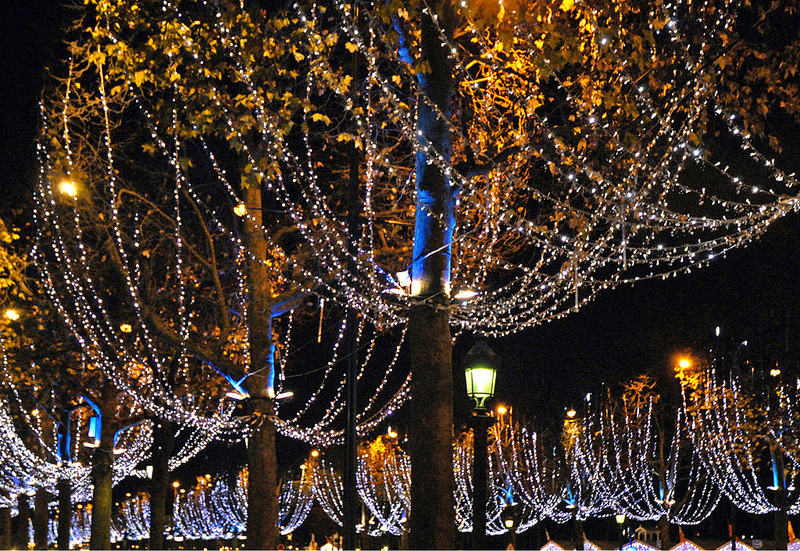 the 200 plane trees along the Champs-Elysées are decorated with light rings and sparkling Christmas lights. Thousands come to Avenue Montaigne at Christmas to kiss under the mistletoe. Place Vendôme, rue de la Paix, rue de Castiglione, rue Saint-Honoré and rue des Capucines are some of the outstanding streets and squares in Paris’ 1er arrondissement. Miguel Chevalier, an avant-gardist in digital art, has created a virtual reality work featuring snowflakes which turn, open out, and change shape on contact with the public. Follow the stairs to the top of the village and enjoy the lights of the plaza. Bercy’s paved streets, which date back to the Middle Ages, are decorated with neon tubes mounted on aluminum structures creating a ceiling of stars and snowflakes illuminating the village in a star-spangled sky. Most of the lights are turned off after January 5. If time is a factor, consider taking one of the open-top double decker bus tours. One more thing, remember to put No Worries Paris on your Christmas Wish List. 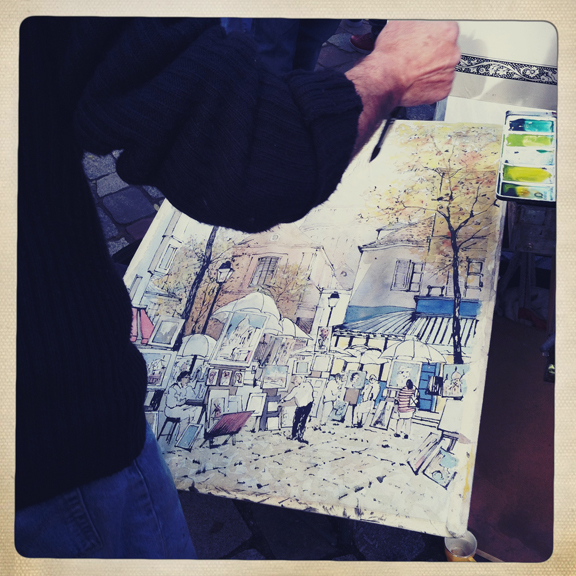 A glimpse of the action on Place du Tertre. Happy Easter dear viewers. 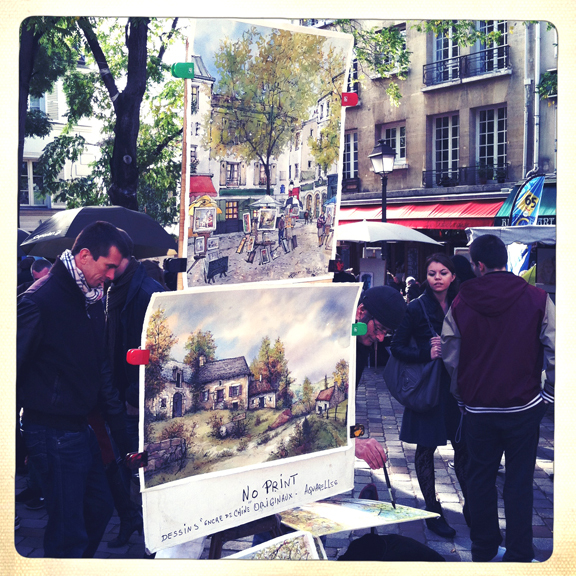 Thanks for following and remember to buy our guidebook for your trip to Paris.